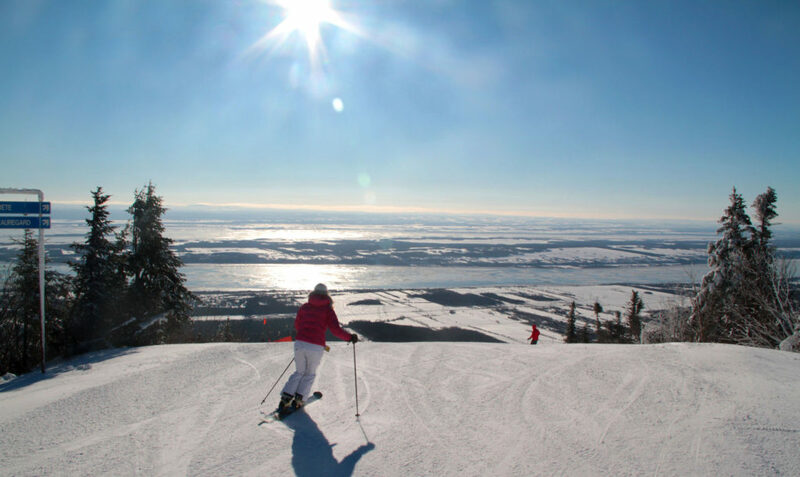 The key to a luxury ski vacation is to be slope side, to toast après ski without having to drive anywhere, to fall asleep to the twinkly lights of the groomers on the mountains, and to wake to the view of the slopes and fresh tracks just steps away. 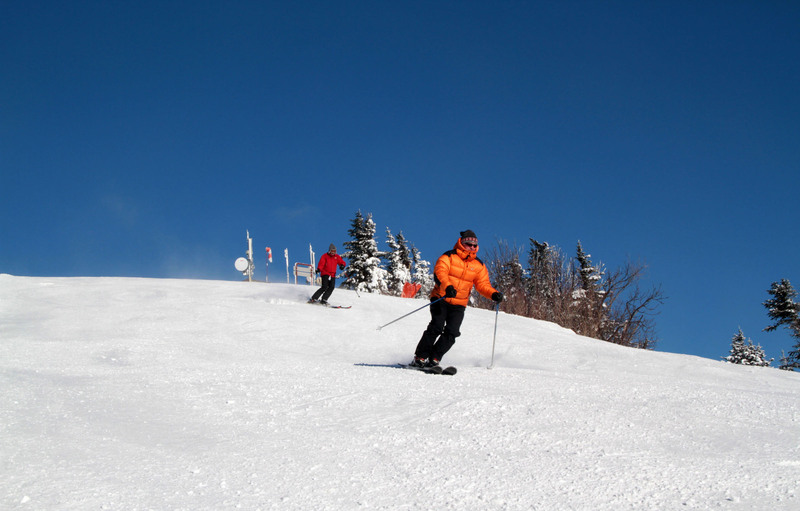 In Quebec, Mont Sainte Anne has the perfect on mountain hotel, the Chateau Mont Sainte Anne. 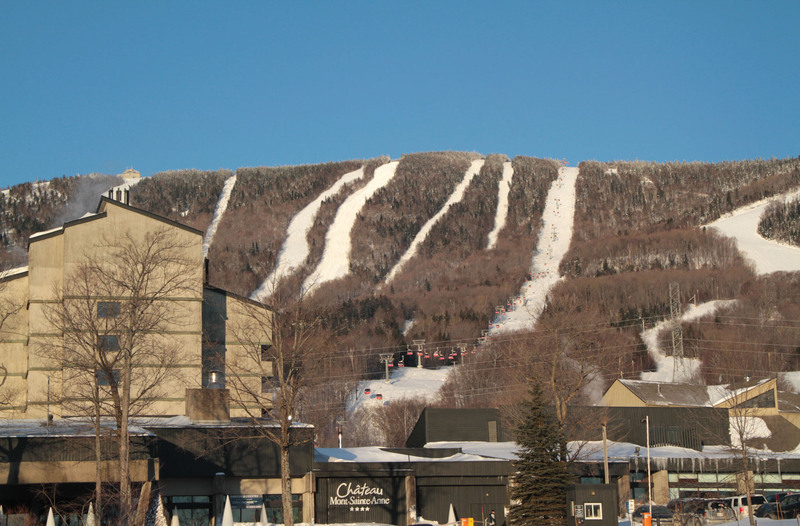 Château Mont-Sainte-Anne is four-star, with a five star location, right at the base of Mont Sainte Anne’s slopes. In fact it’s the only ski in ski out hotel here. 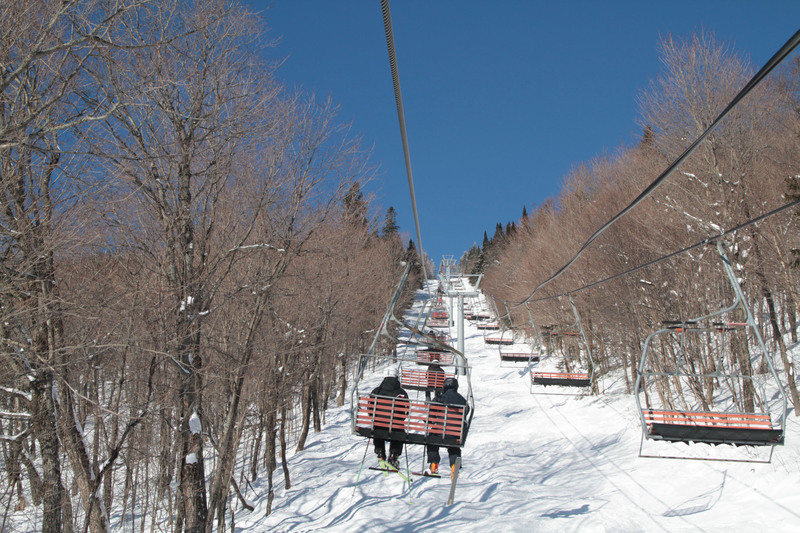 The ski lockers are a short stroll in your ski boots to the gondola and ski school. Ask for a room in the Nordik Studios which have been completely redecorated in a modern alpine style. These rooms are spacious and offer a couch, mini- kitchen and espresso machine for your morning coffee. Most ski and stay packages at The Chateau include a full buffet breakfast in the main dining room with a view of the slopes. 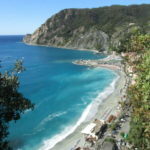 Children stay free with parents here. Mont Sainte-Anne’s ski terrain is served by the gondola and high speed quads that flank this three-sided mountain with 67 trails covering 465 acres and 42 miles. 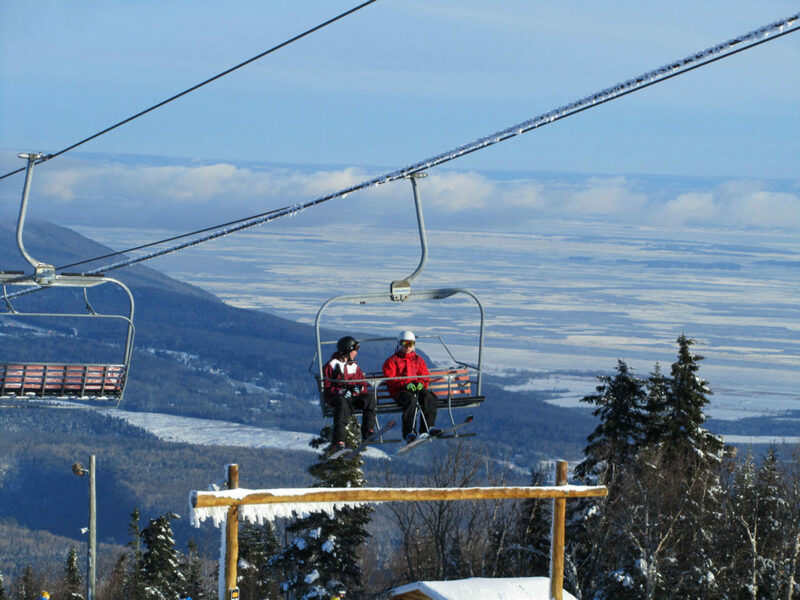 It gets busy on weekends and holiday, so go midweek to enjoy Mont Sainte Anne’s hearty 2,050’ vertical drop almost to sea level (the summit is 2,625′). 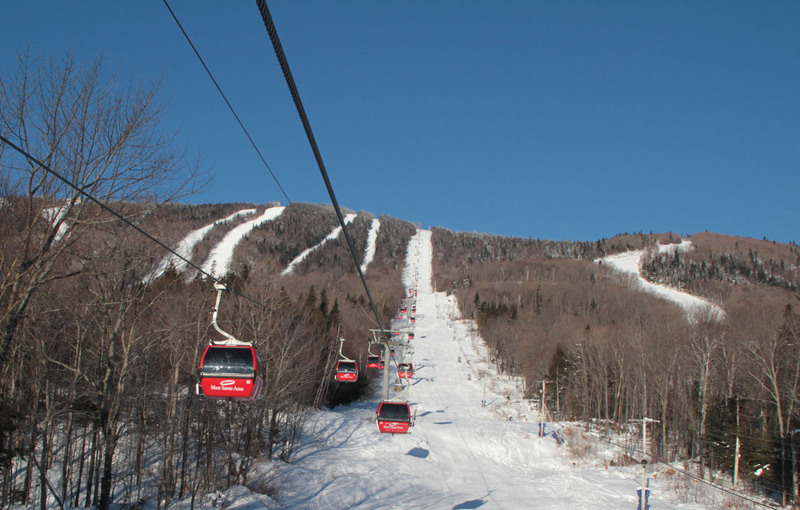 Mont Sainte Anne’s ski village is perfectly compact, you can walk (or ski) to everything, a few ski shops, après ski bars and restaurants including the Bistro Nordik inside the Hotel, and Le Brez which serves excellent wood fired pizza , beef or cheese fondue and local Quebecois cuisine. The Chateau Spa in the hotel has you covered with a range of beauty and massage treatments. 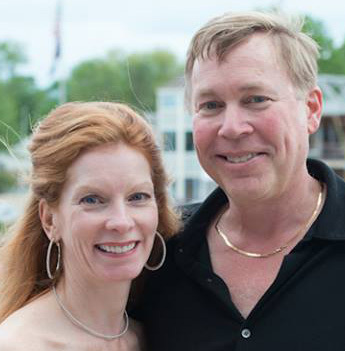 Our favorite après ski ritual is simply soaking in the two outdoor hot tubs. 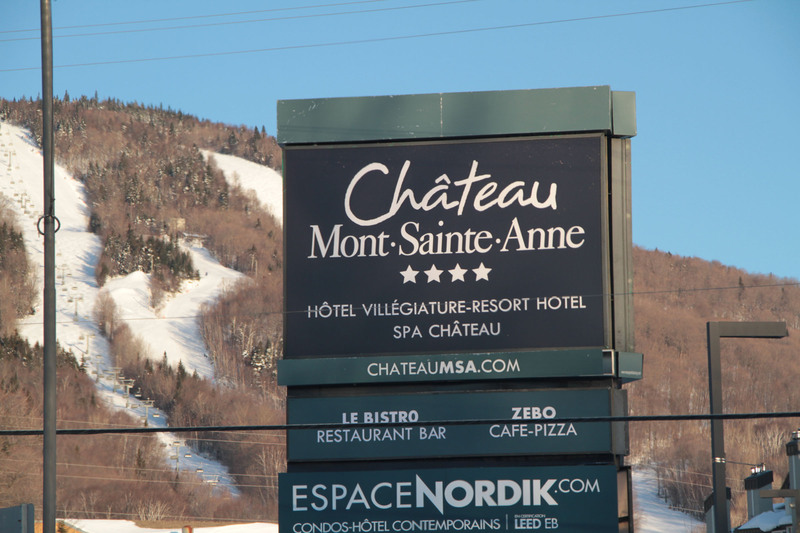 Après ski at Mont Sainte Anne send the adventurers out for night skiing while you have an aperitif. 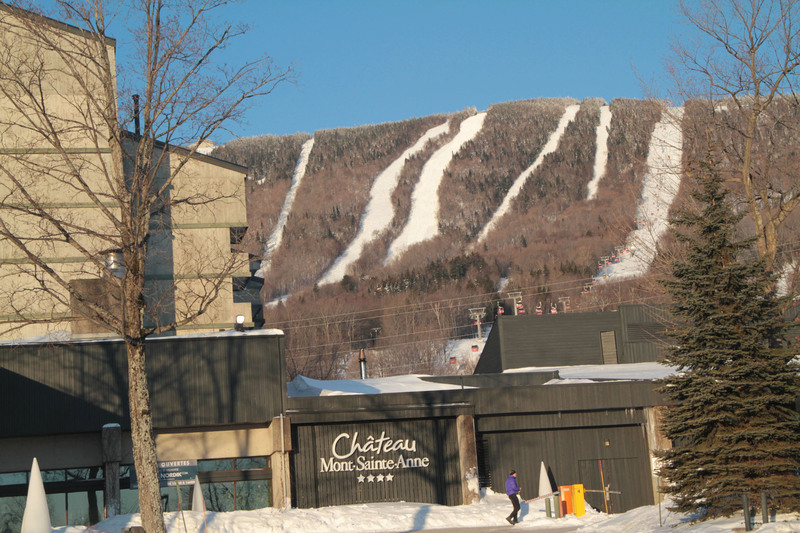 Some evenings the Chateau has a DJ or music in the lobby by the big open fireplaces, or go to La Brez for a view of the slopes. Try dog sledding, Nordic skiing on 200-kilometers, ice skating, all these Quebec winter adventures can be arranged by the Chateau concierge. 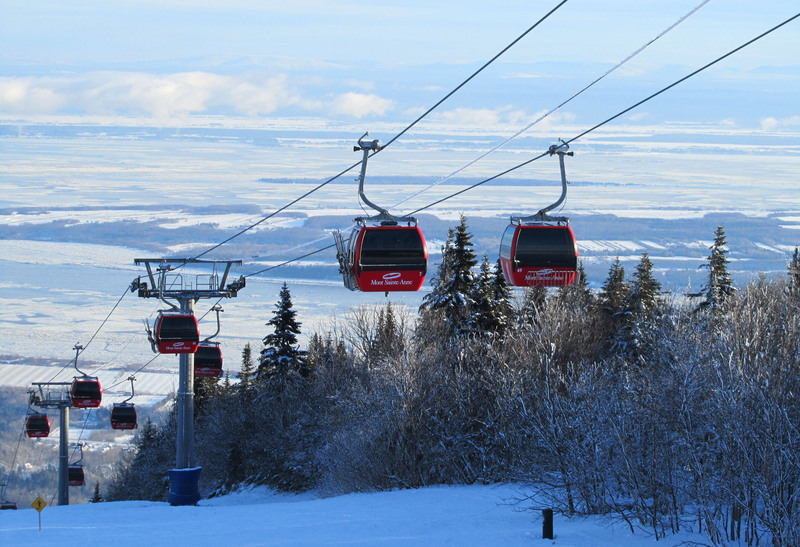 Quebec City is just 25 miles away, you should explore this magical medieval city, but not having to drive to skiing each morning has its rewards – like riding first gondola to the summit. 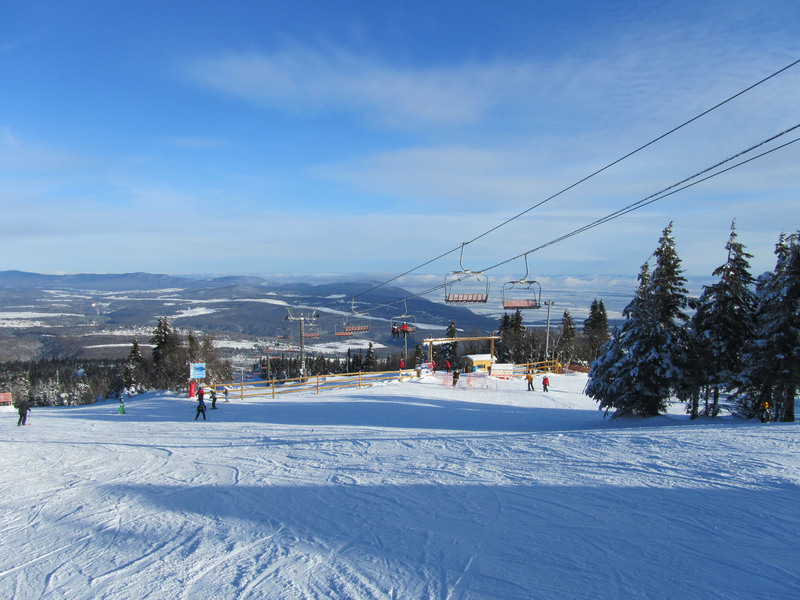 Those first runs off the top with views of the St Lawrence Seaway and of Quebec in the distance are priceless. During your luxury ski and stay at Chateau Mont Sainte Anne, you should drive a half hour north to ski Le Massif, the best Quebec ski resort in our reviews.